I am following with great interest the discussion going on within evangelicalism regarding the relationship between biblical teaching and evolutionary theory. 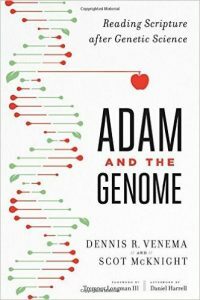 In this regard, Ben Witherington’s series of comments on Adam and the Genome, by Dennis Venema and Scot McKnight has been fascinating. I am particularly attending to the discussion of the historicity of Adam as progenitor of the whole human race because I still think this to be of great importance in both biblical anthropology and Christology. Consequently, I have been rather skeptical about the thesis of Venema and McKnight’s book. 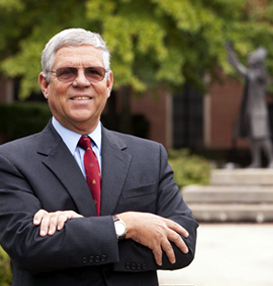 I’ve been happy to hear a voice of caution in Witherington’s response to the book, and I thought that his summary today of what we find in intertestamental Jewish literature was especially helpful. Chapter 7 which begins on p. 147 is a helpful review of the mentions of Adam (and sometimes Eve) in intertestamental Jewish literature. Scot is right that they are depicted in various ways, and the story is developed and analyzed in various ways. This is correct. The point I want to make is that in each case, so far as we can tell, the assumption that there was an historical Adam and Eve is the basis of the further development of the tradition depicting Adam at least as an archetype, a progenitor, a bad example etc. And it is worth adding that a prototype, or representative of a people is not the same thing as calling the prototype ‘everyman’. So I will simply pause to point out the evidence that these Jewish writers clearly assume Adam was a real person: . . . This entry was posted in Anthropology (theological), Books and tagged Adam, Ben Witherington, creation, evolution. Bookmark the permalink.